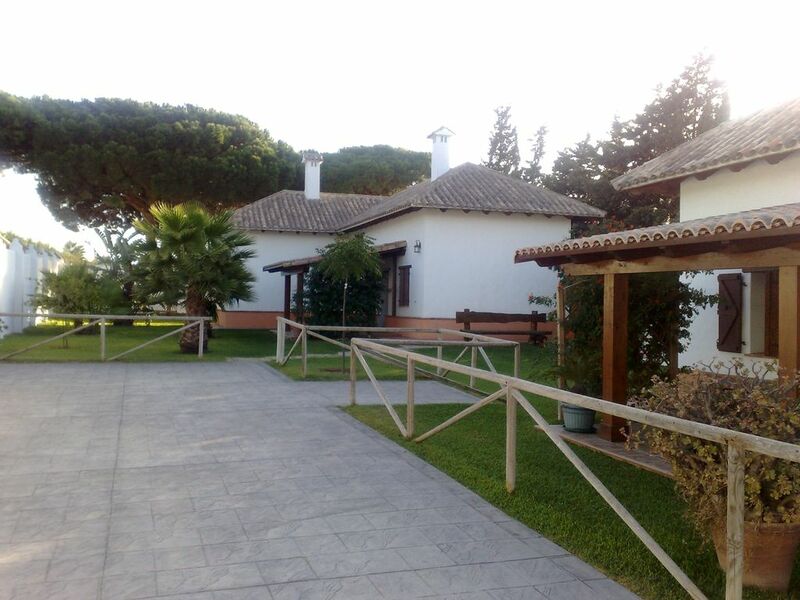 houses on a plot of 2000 m with trees and grass near the beach between Cape Trafalgar and Conil. What a fantastic place! The casitas are perfect...dark wood and Spanish style fittings with plenty of space. A good kitchen and Teresa provided us with extra amenities if needed like a hairdryer! The setting of the casita is stunning...lovely gardens and a fab shared pool. 15 mins walk to a few lush restaurants and only 300 mts to the stunning Mangueta beach. We will definitely be returning with our two small children who could not have enjoyed their holiday more! Lovely 2 storey property with plenty of timber features and a great insert log burner which we used for atmosphere as the property is well insulated and didnt really need heating. Its one of four properties so ideal in the Autumn months when the place is quieter and apart from a weekend booking we had the plave to ourselves. The owner is charming and very positively minded to guests comfort, our toaster was broken on our arrival and wihin minutes she magicked up a brand new one. Hot water takes a while to come through and was non existent at all in the kitchen through our stay but thats the only negative and we would stay again. Plenty of great bars and restaurants either walking distance or a few mins away by car and a supermarket at the camp site which was like Arkwrights and sold everything including four candles. Beautiful 40 minute walk along the beach to the Cabo de Trafalgar lighthouse where there is a great surfers bar open year round ( we think). El trato exquisito, las instalaciones geniales y el lugar maravilloso. Para volver. Hemos pasado 4 días en abril y venimos encantados. La casa está perfectamente equipada , muy limpia y perfecta para ir con 2/3 niños según la edad. Los jardines de la casa muy bien cuidados y una piscina de agua salada. Hay un camino hacia la playa de la Mangueta, donde estás practicamente solo en una playa estupenda. Totalmente recomendable y repetiremos. Teresa , la propietaria, nos recibió estupendamente y es muy agradable.